The offer was an unusual and intriguing one. 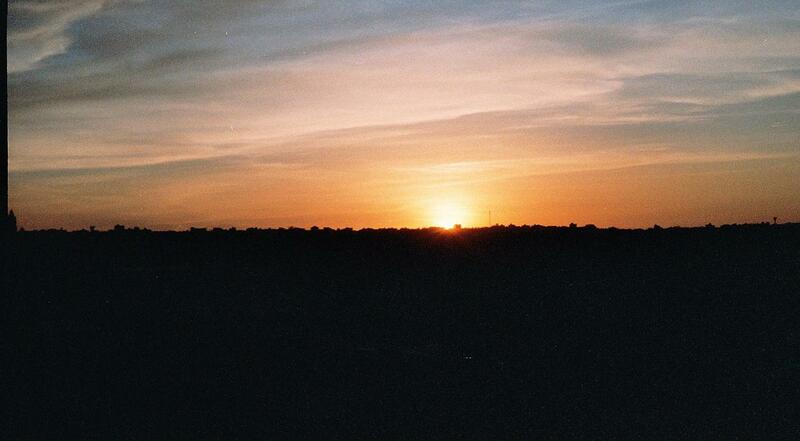 A month working in Northern Ethiopia was, in itself, an appealing prospect. The fact that the job was with an organisation for women entrepreneurs made it even more fascinating. They certainly didn’t seem to object to offering the post to a man. Indeed, and rather strangely, the head of the association was male. Not that I would be spending much time dealing with the entrepreneurs themselves. My task was to do some work on the computer systems. The details of this work should not concern us here. There were far too many much more interesting things going on. The job was based in the town of Mekele, of which more later. 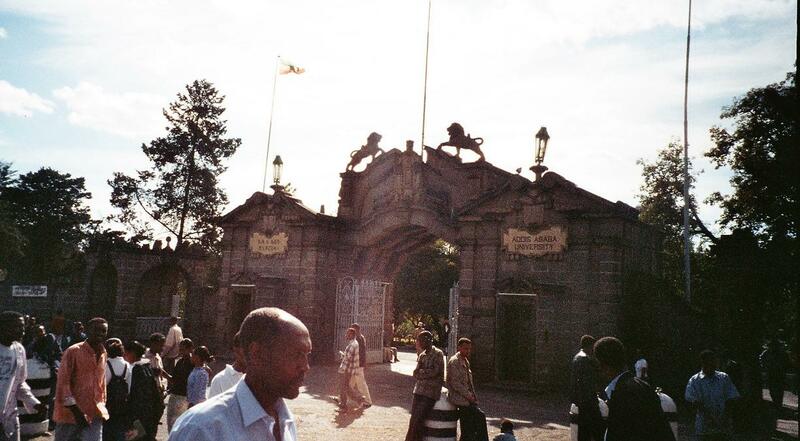 The first port of call was Addis Ababa, one of Africa’s largest cities. It is also one of Africa’s highest cities, although a brief stay there was unlikely to incur much danger of suffering from the altitude. Addis, like many large cities on the continent, is a curious mixture of the old and the new. It is home to a particularly ghastly road, which has about eight lanes and is good only for testing the nerves and reactions of pedestrians. This road borders Meskel Square, a large area in the centre of the city which has a distinctly communist eastern European feel to it. One can easily imagine political rallies and marching troops. The city houses an extraordinary range of shops, right from tiny wooden shacks to rather plush-looking supermarkets. Likewise, hotels range in variety from scruffy pensions to grand five-star hotels. It is safe to say that Duck Holiday’s budget was somewhat closer to the former. Addis is not for the squeamish. Beggars are a common sight and many of them are an extremely uncomfortable sight. Be prepared to see people, presumably polio victims, making their way around in ways that seem unimaginable. To watch a legless man “walking” using only his elbows to propel himself is not a sight to leave one feeling at ease. The city has some good facilities. The university is one of the oldest in Africa and has a very good reputation. Likewise, Ethiopian Airlines is one of Africa’s most established and has a proud safety record. Unfortunately, the same cannot be said for the railways. 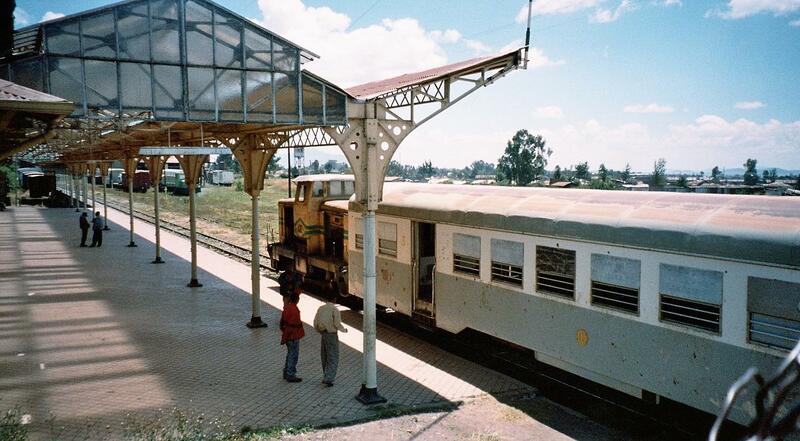 There is a station in Addis, but it is an extraordinarily ramshackle affair for such a large city. Train journeys are recommended only for the most intrepid travellers. One of the best ways to get around the city is by using on of the many little minibuses that trundle around all over the place. They cost next to nothing and while usually very busy, they get you about and keep you out of the way of scam artists, beggars, shouting children and, even more usefully, the burning sun. The previous statement may seem rather harsh, but it is a fact of life that you need to have your wits about you. Addis is a huge place and for a few people, westerners are seen as fair game. Of course, it is only a minority of chancers that look to take advantage, but they exist and it’s best to be well aware of that fact. Mekele, meanwhile, is a far more peaceful and unhurried place. About the worst you are likely to suffer there are the shouts of “Give me money!” from small children. You don’t, of course, and the children don’t really expect you to. Doubtless, they think it worth a try, just on the off chance. Spending a couple of years in Eritrea proved to be very useful as a prelude to visiting the Tigray region, of which Mekele is the capital. The culture is very similar and there is a common language, Tigrigna. Knowing a few handy phrases in that particular language proved to be handy, both in a practical sense and also earning a little respect from local people. 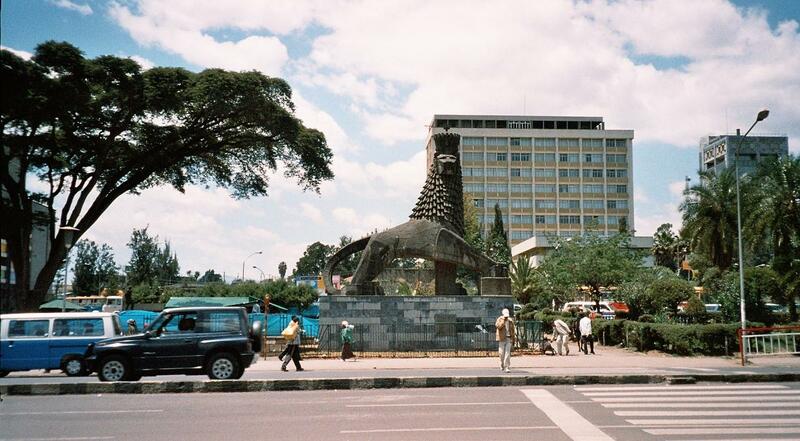 Mekele is quite a modern-looking city, with lots of new buildings, though it follows the usual pattern of African cities by combining the new with the traditional. There is no better example of when this writer was sitting in his office one afternoon, trying to do some work on the computer, when two goats darted in through the front door, followed closely by a young boy. He looked suitably embarrassed by it all, but it was impossible not to smile. One of the pleasures in working in far-off places is the opportunity to have a look around and should you visit northern Ethiopia, the chance to go and see some of the astonishing rock churches of the region is not to be missed. These ancient churches are, quite literally, carved from the very rocks. There are a large number of them and they rarely fail to amaze. 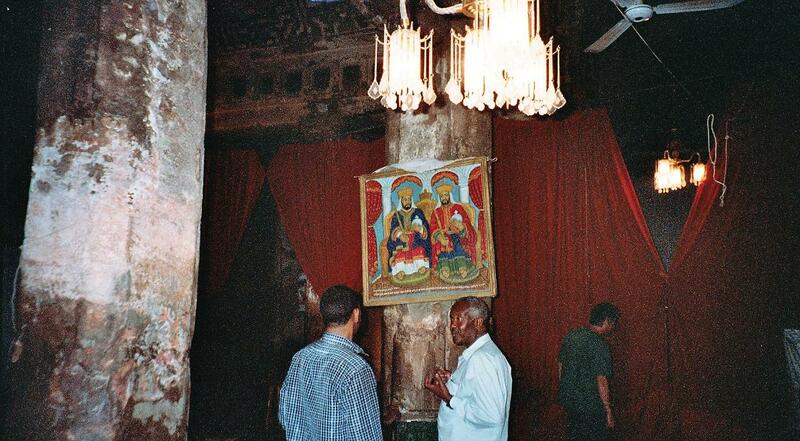 The Ethiopian Coptic Church is one of the oldest in the world. 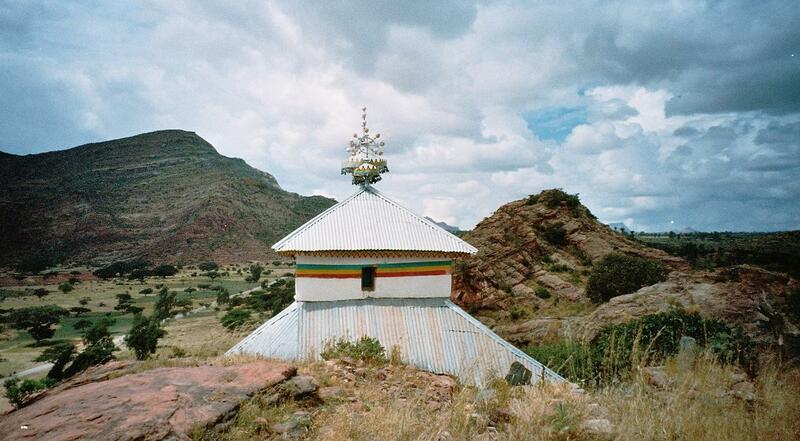 Its origins were in the Axumite kingdom and Axum is one of the chief towns of the area and a UN Heritage site. 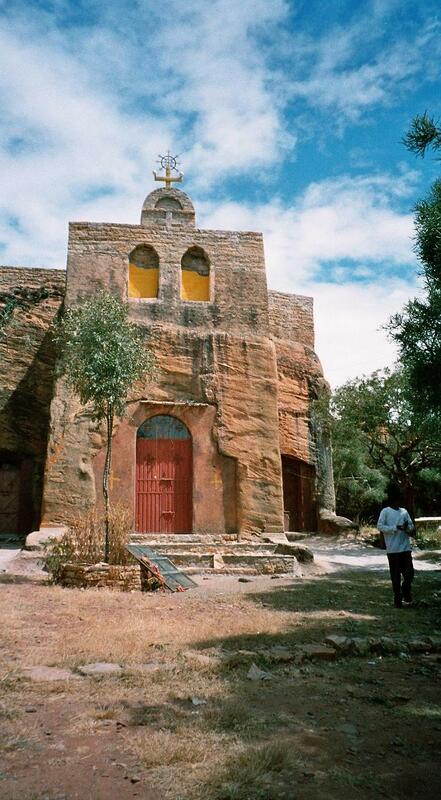 This helps to explain why there are so many of the “rock” churches in the Tigray region and a visitor with a bit of time for exploration and an appetite for history will find more than enough to keep him or her busy for a good while. The ancient town of Lalibela, also a World Heritage site, contains no fewer than thirteen rock-hewn churches. 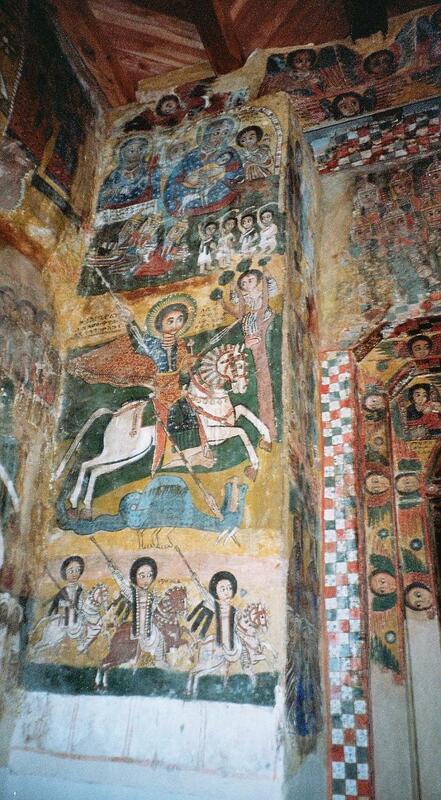 The best-known of these churches in Lalibela is the church of St George. It is impossible to visit Ethiopia and not come across him somewhere. Football fans may encounter the team of the same name and beer drinkers will very likely partake of a glass of beer from the St George brewery. His patronage spreads far and wide, taking in as it does Ethiopia, England, Georgia, Lithuania, Portugal, Russia, Greece, Palestine and Catalunya. Nearer Mekele, there is a curious, but also curiously moving memorial to the fighters from the liberation struggle which saw the Soviet-backed Mengistu regime finally overthrown. 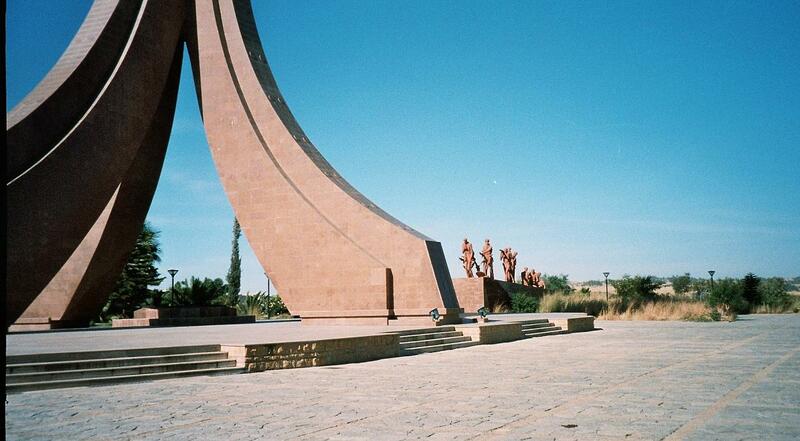 Rather ironically, the centrepiece is a distinctly Soviet-style monument with heroic military figures. It’s a bit of a traipse from the city centre, but easy to locate as the vast monument can be seen from all over the city. For birders, Ethiopia offers a huge array of species. In Mekele, a trip to one of the larger hotels makes for a pleasant time, combining some birdwatching with a pot of excellent Ethiopian tea. One can notch up a goodly number of species in a very short time. Colourful birds abound, from bright yellow weavers to iridescent starlings and gaudy bee-eaters. One afternoon, some rather beautiful yellow butterflies appeared, only to see their numbers devastated by a family of equally lovely bee-eaters. Such is nature. One personal triumph arrived on the final full day in Mekele. After a tramp to the slightly out-of-town Hilltop Hotel for a Sunday pot of tea and a final look for some interesting birds, the walk back into town brought an unexpected moment. 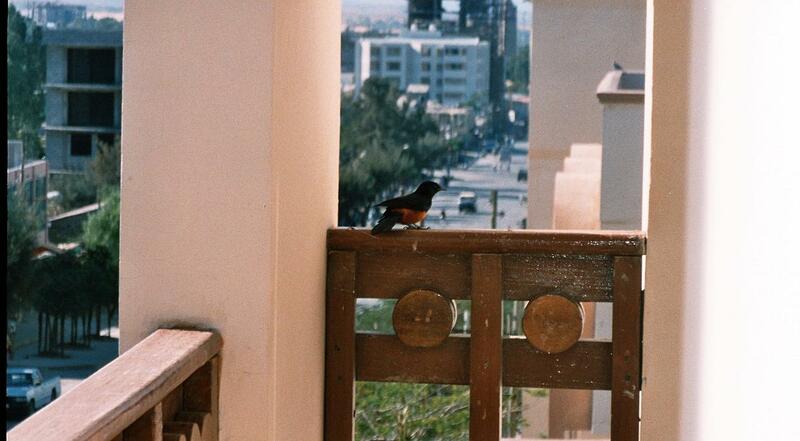 During two years in Eritrea, hornbills always seemed to be tantalisingly close. People told me about them, even sent me photos of them, but could I ever spot one? A resounding no. Then, strolling down the hilly road into the centre of town, something flashed black and white in a tree. This was worthy of investigation. 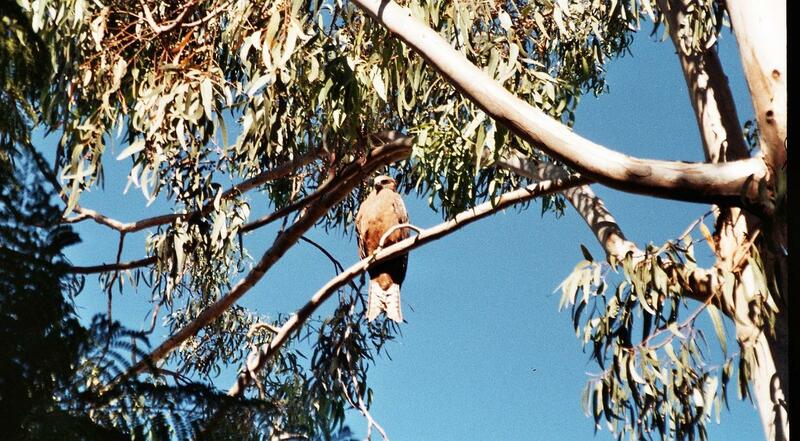 A flapping of wings and a strange, raucous grunt. They they were – two hornbills, which we managed to identify as the rather splendidly-named Von der Decken’s Hornbill. Food and drink? Having made it through two years as a vegetarian in Eritrea, there was no great difficulty in managing this during a mere month in Ethiopia. The bigger towns are well served by restaurants and the ex-colonial Italian influence can still be seen in the number of pizzerias. As in Eritrea, the local bread (injera) is commonplace and on “fasting” days, when no meat is eaten, this is the staple dish served with salad. There are several breweries in the country, all of which produce a lager of one form or another. The Bedele brewery makes a fairly gentle Pilsener-style beer, which is 4.3% and very drinkable. There are a few amber ales, rather in the fashion of an IPA, but a personal mission was to find the (somewhat difficult to locate) Hakim Stout, brewed by the Harar Brewery. All attempts in Mekele failed, but we finally managed to unearth it in Addis. As the name suggests, it is a dark beer, though more akin to a brown ale than a stout. Something else that should be tried is an Ethiopian coffee ceremony. There are versions for tourists, but if you can find one not aimed at the tourist market, all the better. One should be prepared, however, to set aside a good three hours. Firstly, coffee beans are roasted over an open fire. Then the beans are ground using an old-fashioned pestle and mortar. The ground coffee is put into boiling water and finally poured into small cups for each of those present. The ceremony is performed three times.